A federal judge has ordered the Wisconsin Department of Corrections to make changes at the state’s troubled youth prison. U.S. District Judge James Peterson on Friday ordered DOC to curtail use of solitary confinement, pepper spray and restraints at Lincoln Hills-Copper Lake. Peterson ruled that those practices are unconstitutional as practiced at the facility north of Wausau. “I think we should we give them a chance, but they’re not going to be able to do it alone. They’re going to need some real serious assistance in running that place,” said Larry Dupuis, Legal Director for the ACLU of Wisconsin, which brought suit on behalf of youth inmates. 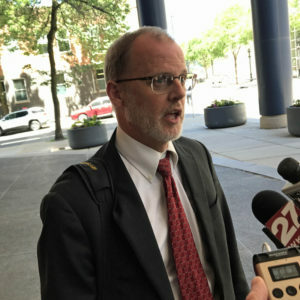 Dupuis said the ACLU will meet with Corrections officials next week, as Peterson gave both sides two weeks to develop plans for implementing substantial changes at the youth prison, which has been subject of a two year-long federal investigation over alleged abuse of inmates at the hands of DOC staff. DOC officials did not comment after Friday’s ruling. An agency spokesman said “DOC has consistently worked to identify and implement substantial reforms” at Lincoln Hills-Copper Lake.